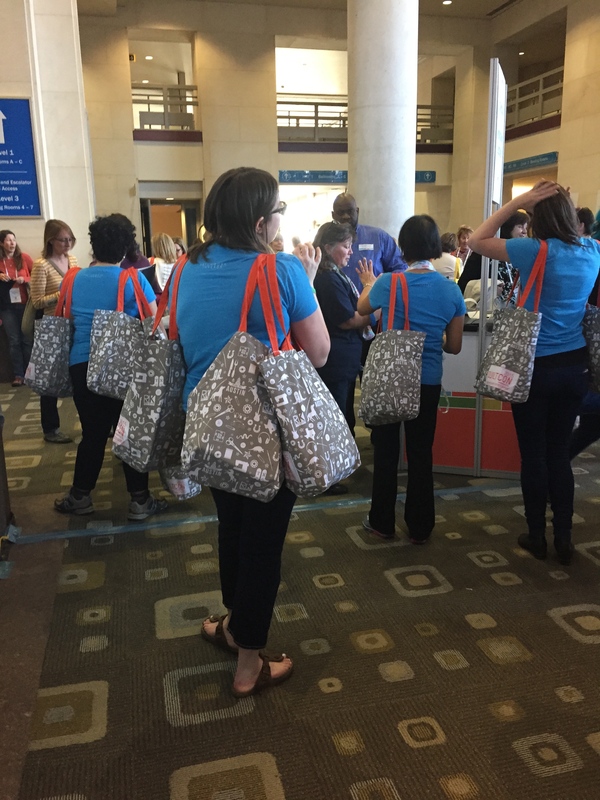 Last night, Lois and I joined a very neat and tidy line to pick up our name tags, make registration changes, and get our goody bags. There was no shortage of volunteers. 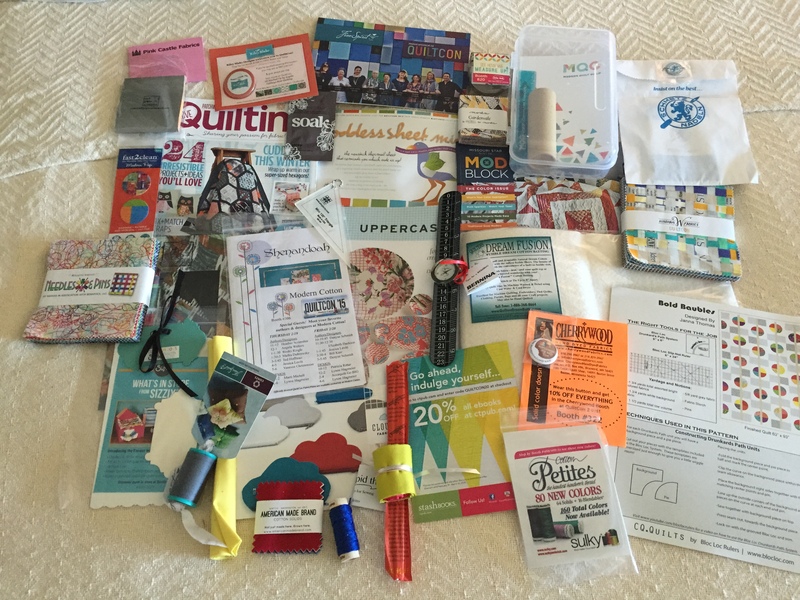 I’ve never gotten so much quilting swag before. Here is the bag. And here is the booty. 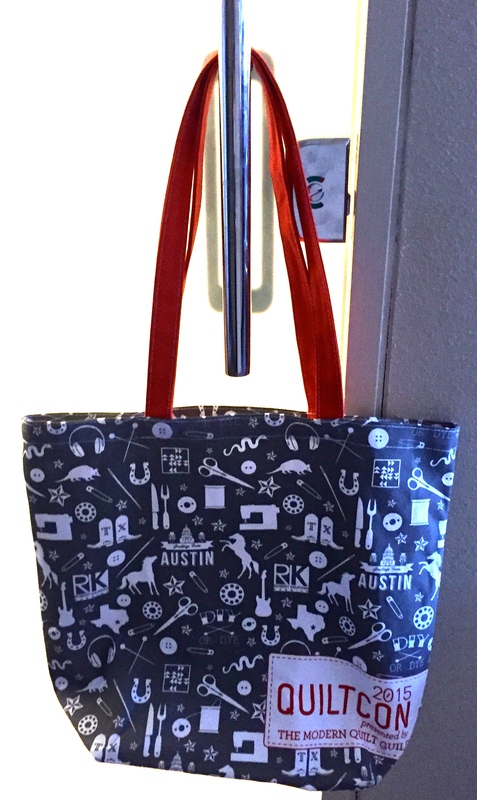 The treasure in this tote is kind of unreal. The only thing missing to make a quilt is a cutting devise. Today, the lines were a bit longer, but things seemed to be moving along nicely. 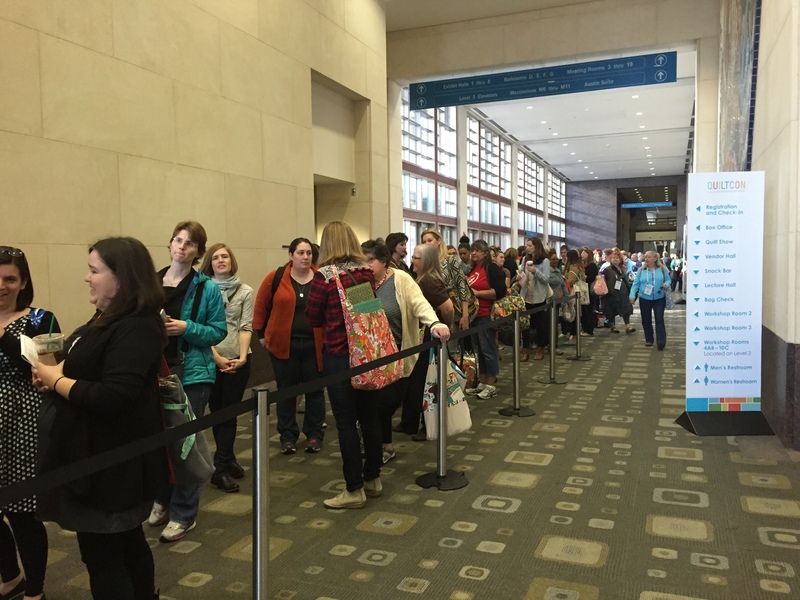 I overheard an organizer say QuiltCon had already exceeded all number projections for the event. Wow. 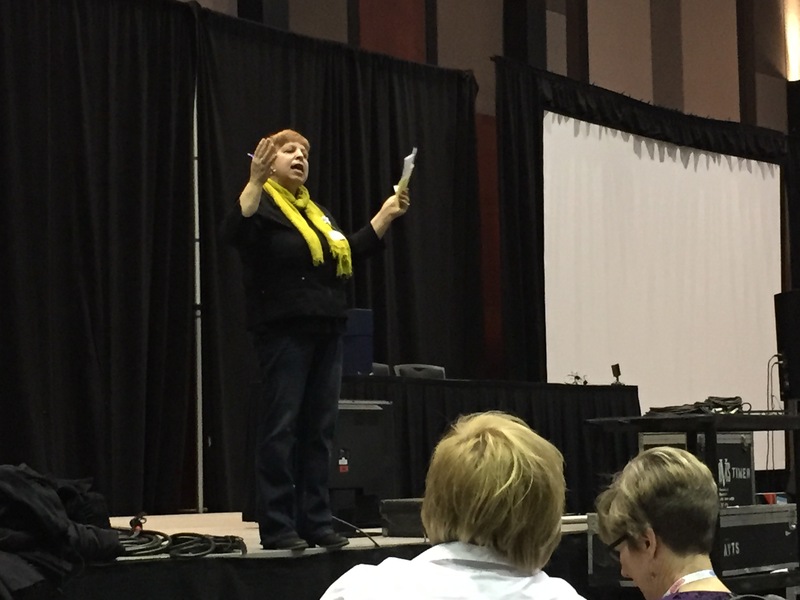 The first stop of the day was the Awards Ceremony hosted by Modern Quilt Guild Board Member Jacquie Gering. 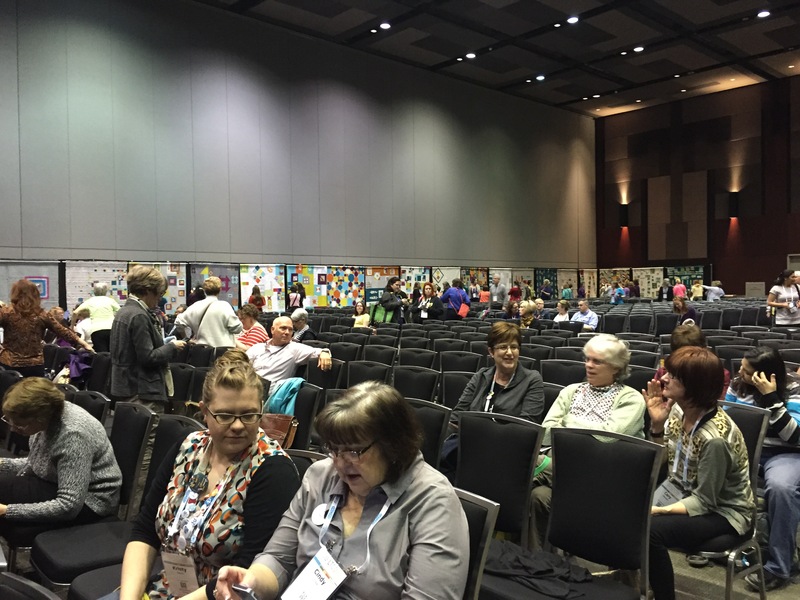 All around the perimeter of the conference room were guild quilts made by Modern Quilt Guild’s from across the nation and maybe even beyond. There were audio and visual problems which resulted in an almost hour delay to the start of the ceremony. Finally, Jacquie decided to project her voice and announce the winners without quilt images. It was a disappointment not to get to see the quilters and their quilts at the same time, but all in all, it was good ceremony. I won’t keep you waiting. 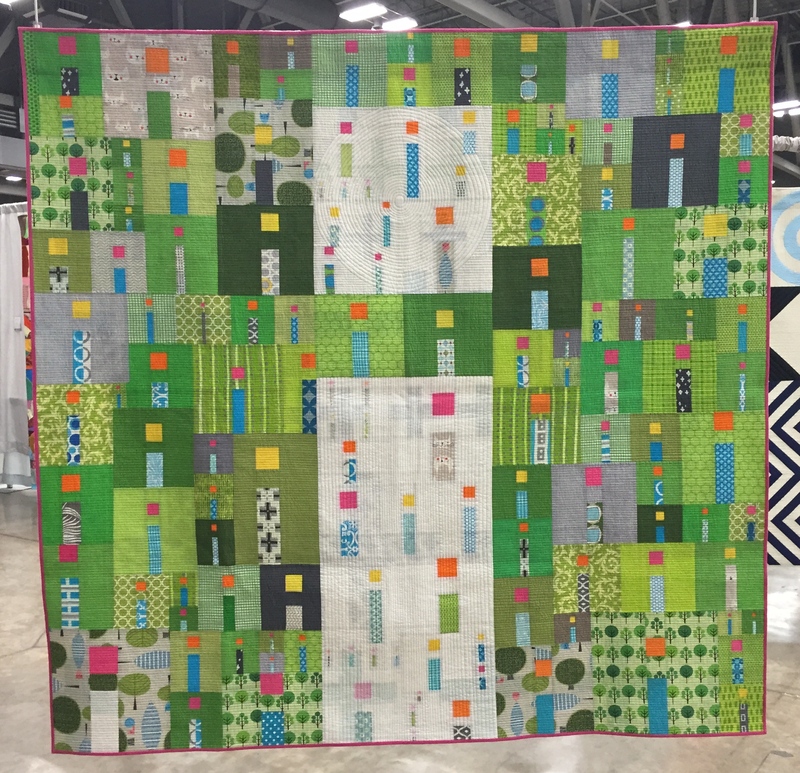 Here is the Best in Show quilt– iQuilt by Kathy York. I know the cash prizes are a very good thing, but these prize ribbons created by Elizabeth Hartman are pretty dang special. I am not sure I can actually write a blog post about each category, but I am going to try. Would you like to see Appliqué, Modern Traditionalism, or Minimalist Design first? 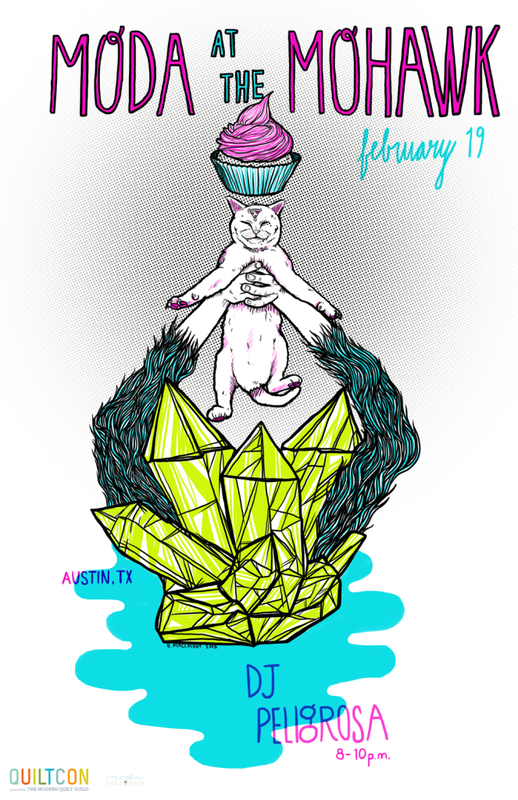 Right now, I’m going to check out the Moda Dance Party at the Mohawk. I know quilters have pattern and repetition down, but do they have rhythm? I’m going to find out. 19 Feb	This entry was published on February 19, 2015 at 4:26 PM. 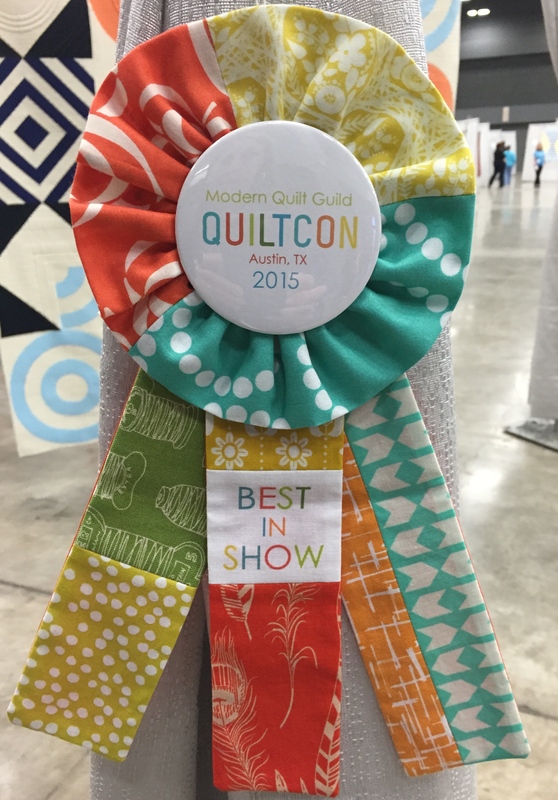 It’s filed under News And Events and tagged QuiltCon. Bookmark the permalink. Follow any comments here with the RSS feed for this post. 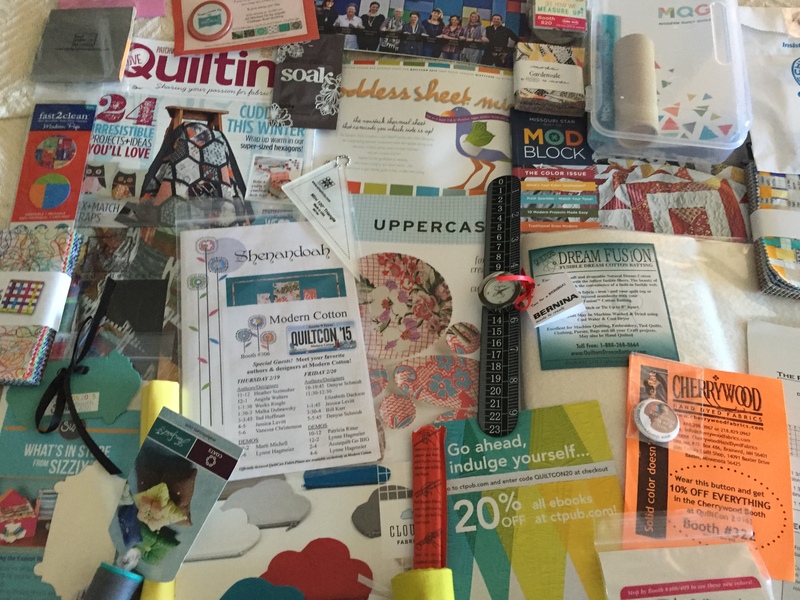 Love it that you chose our South Bay Area Modern Quilt Guild’s charity quilt as one of your faves. We’ll be donating it to a local children’s shelter when we get it back from Austin. Your guild’s quilt is AWESOME. For those of you who don’t know, it’s the one in the lower right hand corner. 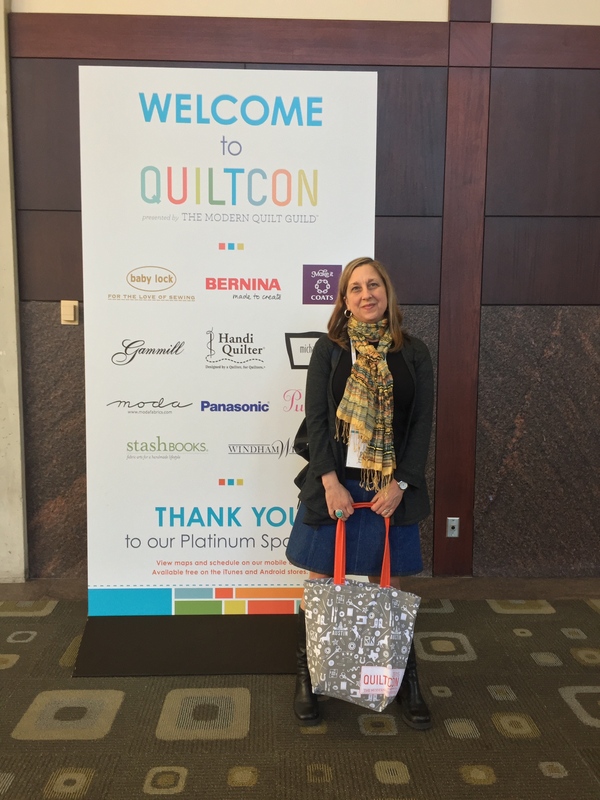 Thank you Lynn for stopping by and telling us the future of the quilt.